What can I say about our best selling table skirts? They're popular! 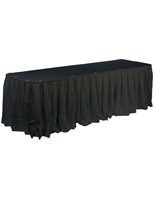 These affordable table skirts for sale represent every style available in our online catalog. 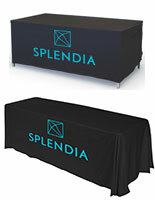 Our customers order every type available from simple tablecloths to full-color stretch designs. 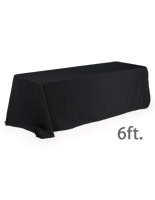 These table skirts include a number of sizes and colors. The most popular colors are white, black, and royal blue. 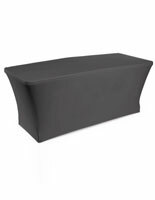 Our company sells these table skirts at cheap, wholesale prices so that everyone can afford the conventional or custom table covers they need for their business. Peruse all of our categories now to see the many designs available! The table skirt you need is just a click away! What is a table skirt? The table skirt, also known as a table throw, cover, or linen is a cloth that covers a tabletop to both hide imperfections and create an attractive demonstration. 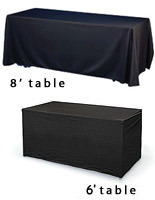 Used in trade show exhibit halls and banquet rooms, these tablecloths take on many forms. 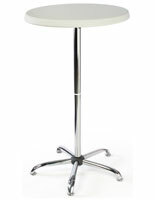 The most often seen are the conventional plain table throws that cover an entire table from top to floor. These models may have square corners or rounded corners. Some are even convertible: they adjust to fit two table sizes. These throws are ideal for banquet rooms and other applications at which the tables are set up in a more central area of the room. Similar models are three-sided. 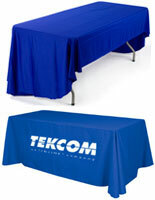 These table linens are ideal for trade shows and serving lines at a special event. 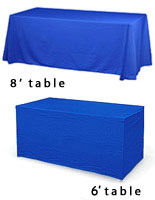 The three-sided cloth cover the table top down to the floor on three sides of the table but leaves the back open. 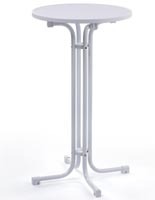 The open back gives easy access to items stored beneath the table as well as allows chairs to easily sit behind the table. No worries about getting caught up in excess linen with a three-sided tablecloth. An additional style tablecloth is a more futuristic one. 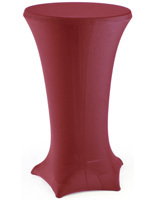 These are the stretch models that are made of a polyester – spandex blended fabric. 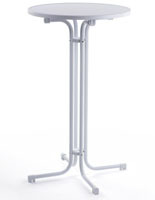 These covers fit tightly on the table as the corners have pockets into which the table legs are inserted. Like I said, a very futuristic, cutting edge look is achieved when using these table covers. A table throw, commonly referred to as a runner, is another style tablecloth represented in this best seller category. These are smaller cloths designed to sit atop another tablecloth. The added color draws extra attention to an exhibit in a trade show hall. In a banquet hall, the accent color adds dimension to the room. 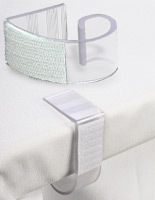 The final style is table skirting that clips to the sides of the tables and has a shirred or pleated edge. 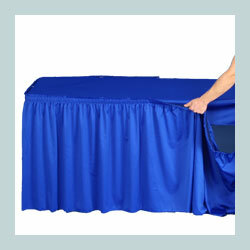 Table skirting is often seen at trade shows and in banquet halls. 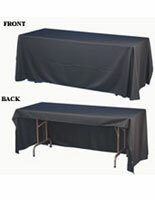 They are commonly used with tablecloths that fall about a foot around the outside edge of the table. The tablecloths cover the top of the table. The skirting covers the sides. Is there anything else you should know about our best selling table skirts? Other best sellers include full-color dye sublimation imprints. For these throws, you supply the design. There are no color limitations and no design limitations. Dye sub may be used to cover the front of a tablecloth or it may be used to cover the entire cover. The choice is totally up to you! 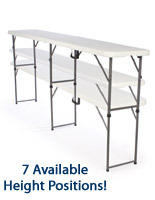 Another item on our most popular list is the 96" folding table. 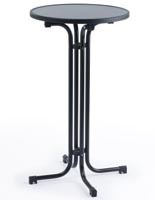 The plastic molded, steel leg tables are perfect for a variety of exhibits. 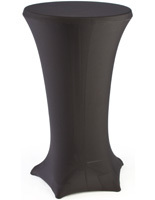 They make great buffet tables with their waterproof, stain-resistant tops. They make great trade show tables, too! The folding counters are lightweight and easy to carry to wherever they are needed. 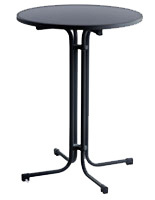 Sized to fit many of our longer tablecloths, these tables are a must have for marketers and catering services. 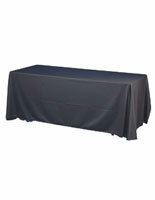 Our standard tablecloths are made of sturdy polyester. These 100% polyester throws are machine washable and dryable. 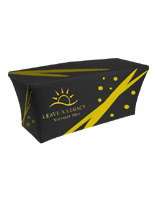 They resist wrinkles as well, making them the ideal travel cloth for busy marketers. Each throw is sold with a certificate of flame resistance, which is required at many trade show venues to ensure you are complying with fire regulations. The polyester-spandex blend throws are also machine washable. It is recommended that chlorine bleach not be used when washing as it may wash out the colors. 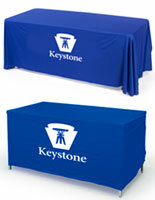 Custom tablecloths are an inexpensive form of advertising. Their durability and long life ensure many years of use. The customization separates your company form the competition and allows you to present the image you desire. Why blend in with the crowd by using trade show supplied table covers when you can buy an affordable custom design throw at cheap wholesale prices! 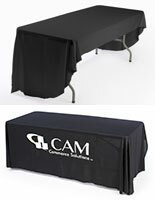 Give your business the edge with our custom designed tablecloths and runners!